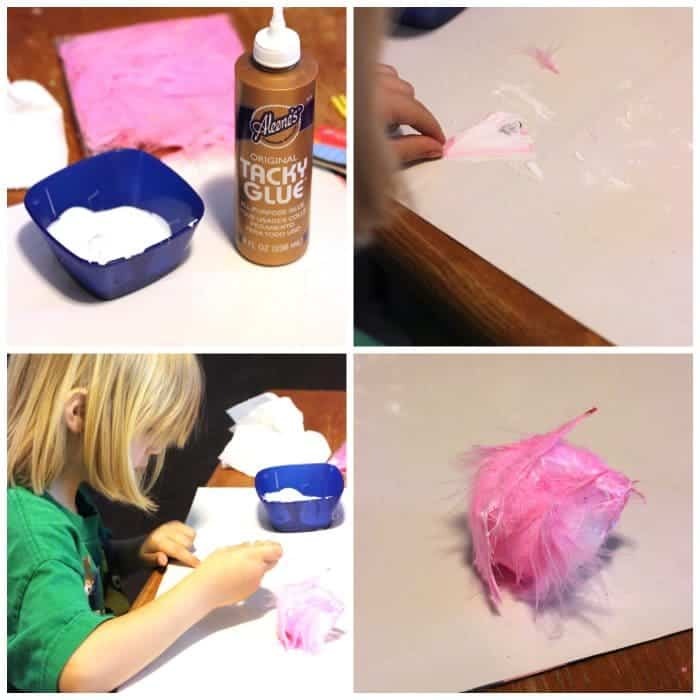 Truffula Tree Craft for Earth Day, Dr. Seuss' Birthday, or Just for Fun! Whether you are looking for Earth Day crafts kids will love or just need a fun Dr. Seuss Lorax craft for kids, this Truffula tree DIY is perfect! We learned how to make a Truffula tree craft by accident! Sweet T loves crafts and we’ve established Wednesdays after lunch as “crafternoons” (otherwise she asks multiple times per day every day to do crafts!) The Dollar Tree is our go-to for summer activities and Sweet T loves to browse the craft section. During this trip she spotted a bag of Styrofoam crafts balls various sizes and a pack of pink feathers. She proclaimed, “I want to glue those pink feathers on those balls.” Ooook. Whatever keeps you occupied this summer, kid! I was able to get all of the above except the tacky glue at the dollar store making this a very affordable craft for kids. Pour some of the tacky glue into a small bowl and allow the child to spread glue onto individual feathers using the foam paintbrush. We figured out after gluing a couple of glue-soaked feathers to the styrofoam balls that it’s easiest to trim the hard points of the feathers first. It makes them a little more flexible. Cover each ball with feathers until no white is showing through. Poke a striped straw into each ball. Now you know how to make a Truffula tree on Earth Day, Dr. Seuss’ birthday or just a random Wednesday like we did. Another cool thing to do with this Truffula tree craft would be to use a pencil instead of a straw. 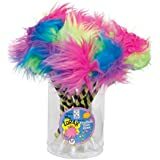 Or you can by a 15-pack from Amazon if you’d ratherb buy Truffula Tree favors instead of doing a DIY. Whether you are looking for Earth Day crafts kids will love or just need a fun Dr. Seuss Lorax craft for kids, this Truffula tree DIY is perfect! 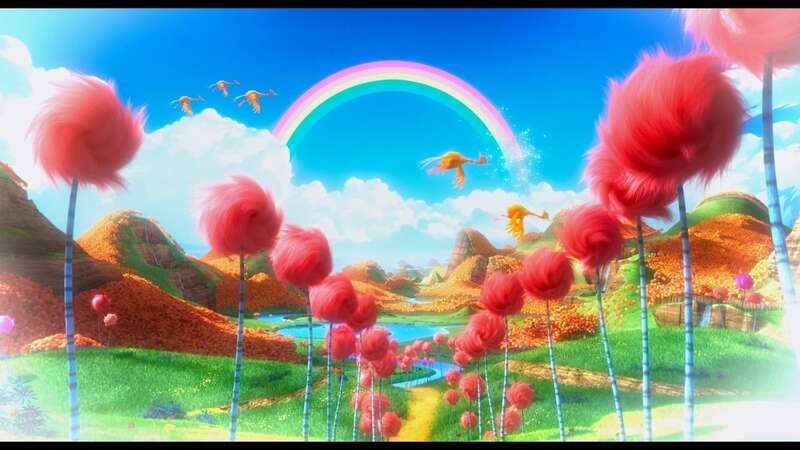 Learn how to make a Truffula tree on the cheap. Pour some of the tacky glue into a small bowl and allow the child to spread glue onto individual feathers using the foam paintbrush. We figured out after gluing a couple of glue-soaked feathers to the styrofoam balls that it's easiest to trim the hard points of the feathers first. It makes them a little more flexible. If you like to craft with your kids you might also like this Watercolor Salt Painting with free unicorn printable too.